Hey everyone! 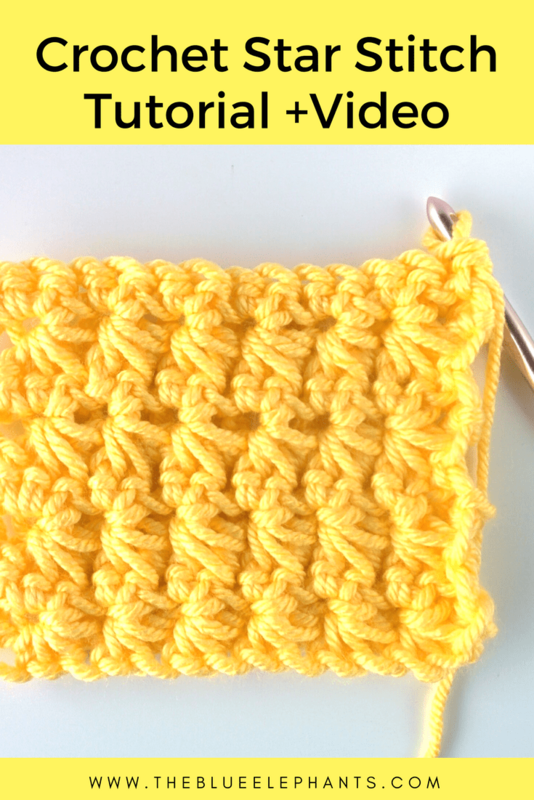 Today, I’m going to show you how to work one of my favorite stitches: the star stitch. This stitch is like a sunburst and it’s so quick and easy to work, although it looks complicated at first glance. 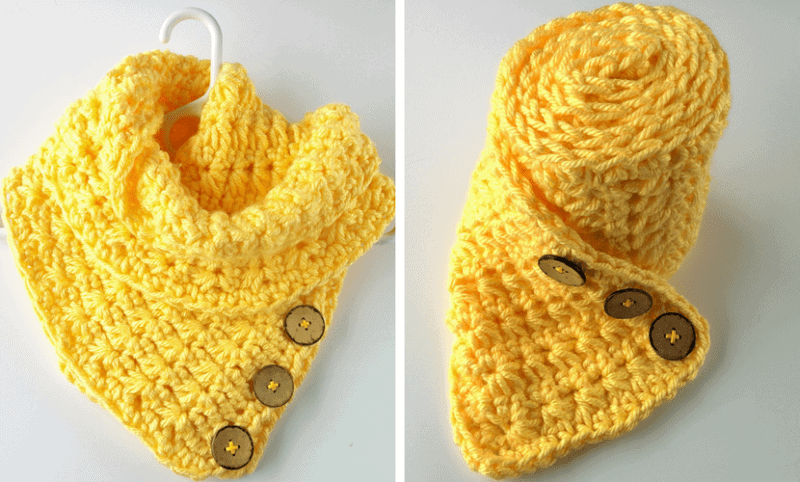 When I first learned this stitch, I used it to make my Lemonade Scarf and that’s still one of my most popular patterns. I had the tutorial and the pattern as one post then, but it made more sense to split them and have the stitch on its own. 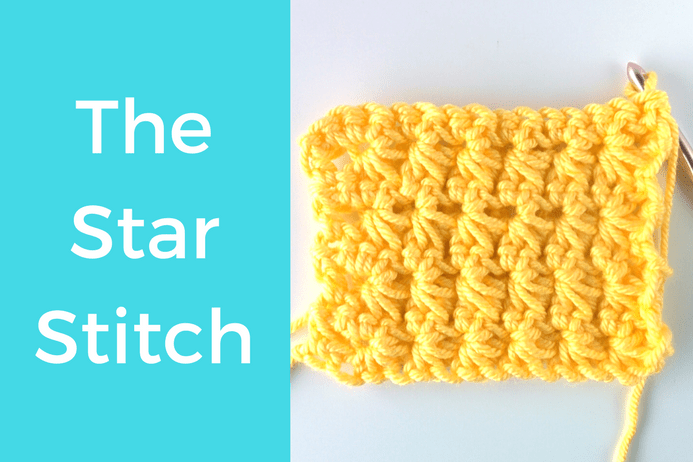 So, let’s get started with the star stitch crochet tutorial! 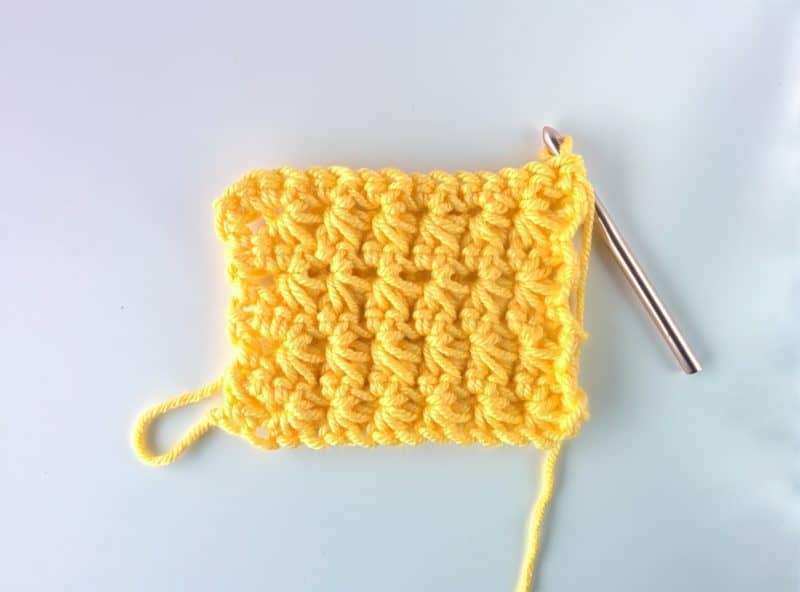 The star stitch is a really easy stitch to learn. You can watch my video tutorial of it down below, and although it’s almost 20 minutes long, it’s detailed. You can see each step that I take and I wrote out in captions what’s going on in each step. I’m still learning how to make my videos better, so any feedback you have is appreciated! I’ve also written the instructions out below, so take a look there if you’d prefer that to the video. 1. Create a chain of an odd number. I started with a chain 15. This is going to give me 6 star stitches, framed by one HDC on either side. 2. HDC into the first space next to the hook. 3. For the first star stitch, insert your hook into the same space as the HDC and pull up a loop. Pull up a loop from each of the next 3 spaces. You should now have 5 loops on your hook. YO, and pull through all 5 loops at once. Chain 1 to close the star stitch and you’re done with the first one! 4. Now, for the next stitch and each one after, we’ll start by working into the previous star stitch. 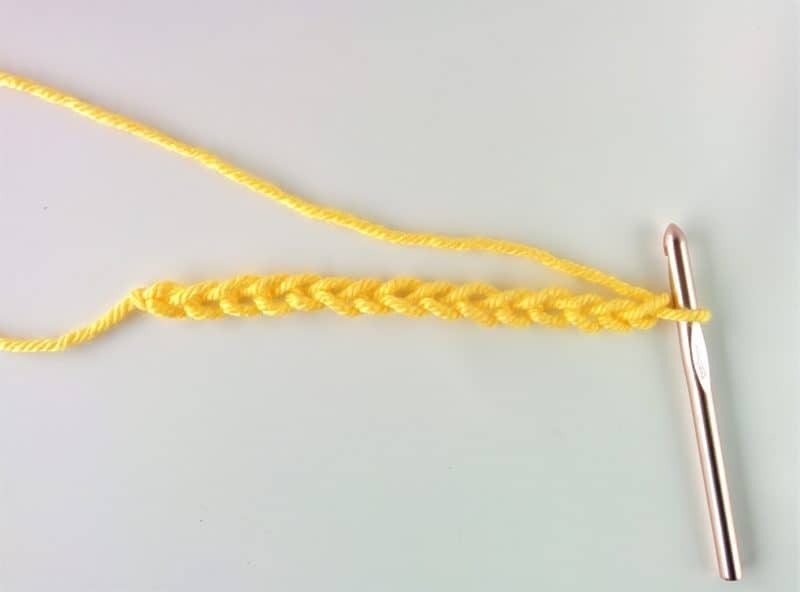 Insert your hook into the 5th “leg” of the star stitch and pull up a loop. Then, insert your hook into the same space on the chain as that 5th leg and pull up another loop. Pull up loops from each of the next 2 spaces. You should again have 5 loops on the hook. YO, and pull through all 5 at once, and chain 1 to close. 5. Repeat step 4 all down the row, until the last space. HDC into the last space. And that’s it for the first row! Now, chain 1, and turn to work the second row. 6. Work 1 SC into the first space (where the last HDC is). Then, work 2 SC into the center, or eye, of each star stitch. You basically just insert your hook into the little hole in the middle of the star and work your SC into it even though it’s not a normal space. Do this until the last star stitch, then work 1 SC into the last space (top of the first HDC). 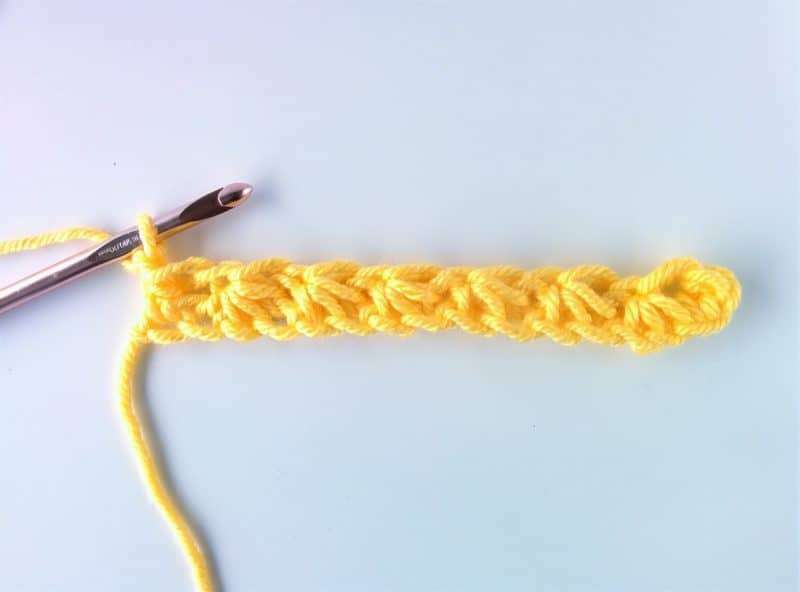 This stitch tends to rotate, so just turn it the right way. Chain 1, and turn to work the next row. 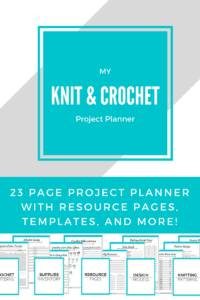 These are the basics of the star stitch crochet tutorial and now you’re just going to build on that with the same few steps. 7. HDC into the chain 1 space. Insert your hook into the same space and pull up a loop. Pull up loops from the next 3 spaces, then YO and pull through all 5 loops. Chain 1 to close. 8. Insert your hook in the 5th leg of the star stitch you just made and pull up a loop. Insert your hook into the same space as the 5th leg, and pull up a loop. Pull up loops from each of the next two spaces for a total of 5 loops on the hook. YO and pull through all 5 loops. Chain 1 to close. 9. Repeat step 8 down the row to the last space, and then HDC into the last space. then, chain 1 and turn to start the next row. 10. Work the same way as row 2. Now, just repeat rows 3 and 4 to continue the pattern. See, that wasn’t so bad, was it? 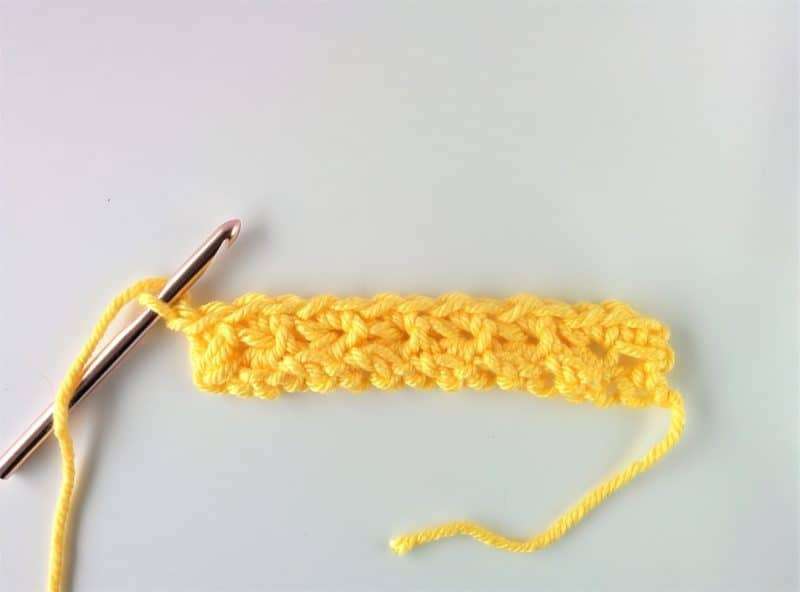 There are a lot of loops, but there always are in crochet. Just practice and you’ll have it down in no time! I really loved showing you this star stitch crochet tutorial and if you like the look of this stitch, you’re going to love how soft and squishy the scarf I made with it is! This is how my scarf started out, so you’ll have plenty of time to master it if you’re planning on making the Lemonade Scarf. 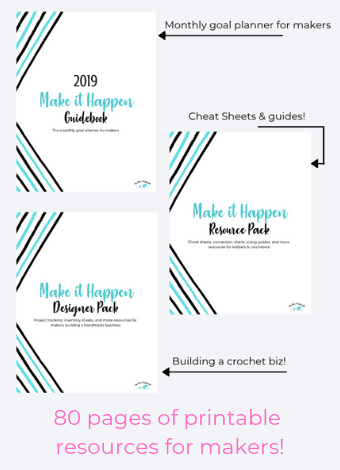 This is the majority of the pattern, but I’ve written it out again, along with the details and how I finished it in this post. Let me know in the comments below what stitches you love or would like to see tutorials on and I’ll see you soon!